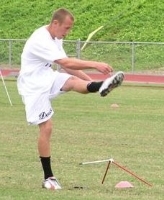 Kyle has an extremely powerful leg and is extemely consistent on FG's. Austin is coming off an extremley successful Junior season and has continued to improve in the off-seaon. 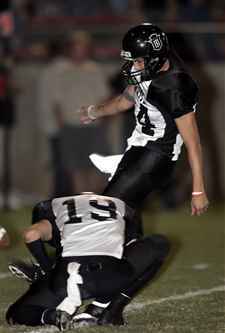 Nick has become an extremely reliable FG kicker. Malcolm is deadly accurate on FG's and maximizes his distance on kickoffs. Adam has worked hard to improve his technique this off-season. Mike has the best overall technique around. John has the potential to be very special Kicking and Punting. 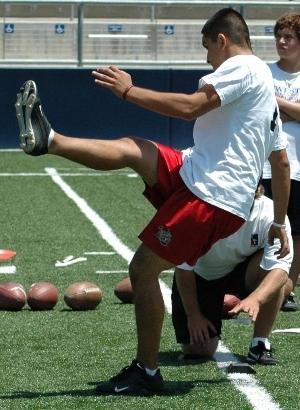 Kevin is a very refined kicker and punter with D1 talent. Looks for big things from Kevin. David has remarkable leg strength and is consistency. 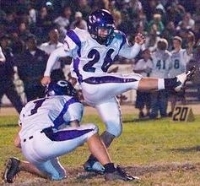 Best Punter around. 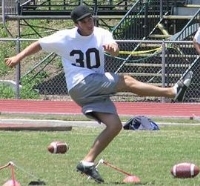 Kevin has worked hard on his technique and will be an extremely solid kicker in '06. 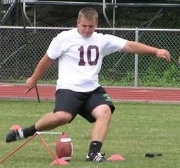 Sean is college ready on FG's and is tremendously consistent. Joseph has tremendous leg strength and is a big time talent. He could be one of the best. 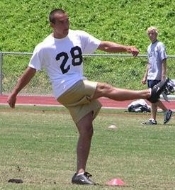 Alex has amazing leg speed and big time kickoffs. Daniel has a big time leg. 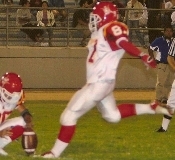 Eric is an accurate and consistent FG kicker. Getting better every week. 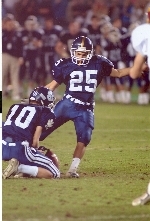 Andrew is a very capable Kicker, Punter and Kickoff performer. Alex has become a extremely consistent placekicker. 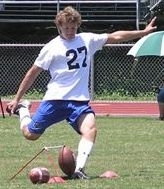 Riley has an unbelievable leg and is a tremendous Kickoff guy and Punter. 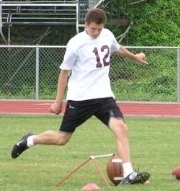 Chad has tremendous potential and a tremendously strong and consistent leg. Stephen has made great progress this off-season and will be very successful this Fall. 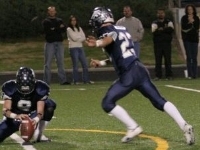 Kyle has amazing leg stregth and is a triple threat with FG's, Kickoffs and Punting.